With Vikings coming to its Mid-Season finish we where treated to an invading force arriving into Kattegat, originally we where meant to assume it would be Ivar and his focres, but the ships fly the Frankish colors, so maybe it could be Hvitserk leading his uncles forces, after all who else could lead the Frank’s, this is where we see an aged Rollo sitting on a throne at the aft of his boat. 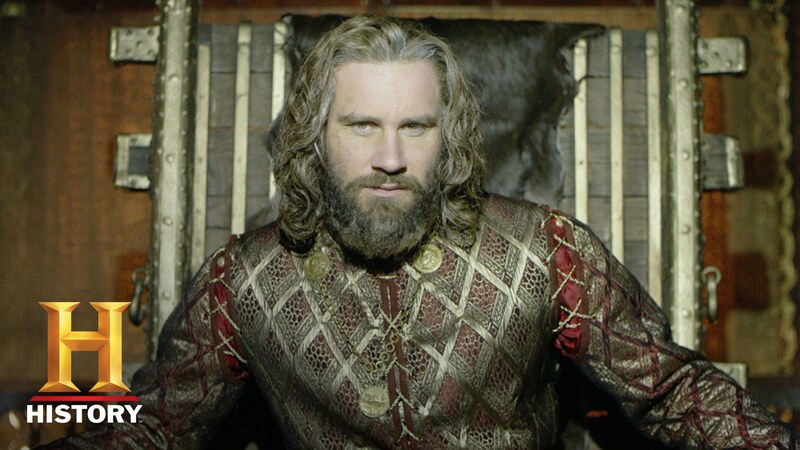 So why has Rollo only appeared now? I am wondering did Rollo give his nephew a token army to help prolong the war. To give him time to amass all his forces and take them to conquer Kattegat for himself. 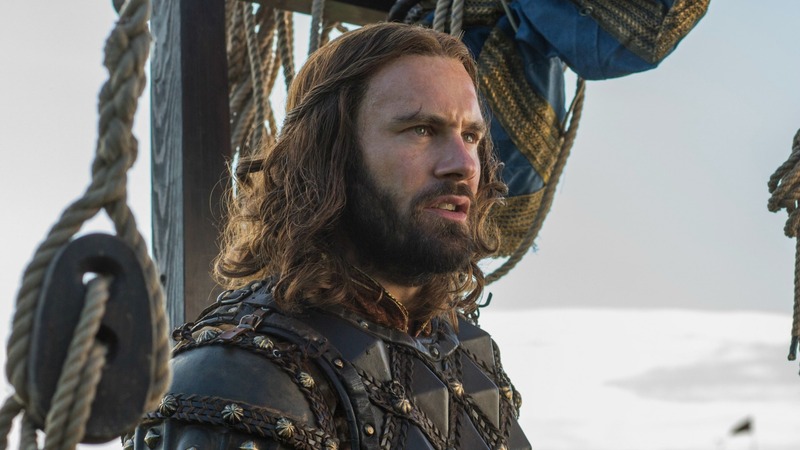 It should not be forgotten that Rollo also has a claim to this throne and if his nephews are going to be so stupid as to go to war with each other then maybe he should just steam role in with a well armed, refreshed and disciplined army and take it for himself. 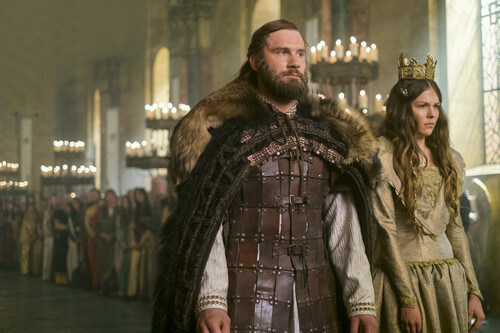 Another less likely option is that Rollo simply regrets helping one Nephew over another and is instead choosing to come end the conflict through show of force. So is he here for war or for family? No matter what the man will be making one hell of a entrance! How many children does he now have? Are they warriors like their father? What has he been up to all these years? What does he think of his extended family?